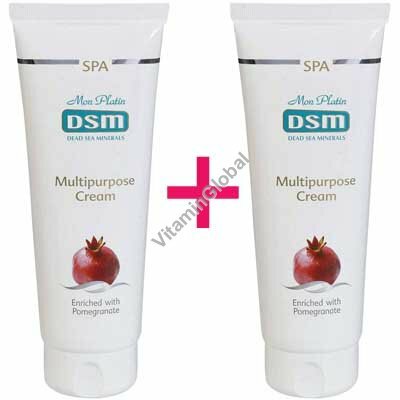 Multipurpose cream for face and body. Nourishing, refreshing and soothing cream. Unique compound based on olive oil, vitamin E and Dead Sea minerals. The extract complex provide moisturized and delightfully smooth feeling and increases skin elasticity. Suitable for all skin types, enriched with refreshing fragrance.